Meizu is rumored to be working on a bunch of smartphones that will be launching in the coming months. 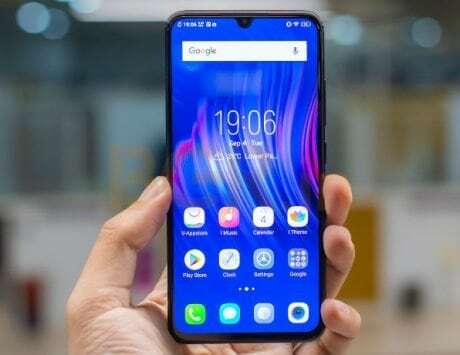 In a bid to provide higher screen space to consumers, recently unveiled phones such as Samsung Galaxy A8s, Honor View 20 and Huawei Nova 4 came with punch-hole displays. Today, Meizu has confirmed through its official Weibo account that it will be introducing world’s first “holeless phone” tomorrow. 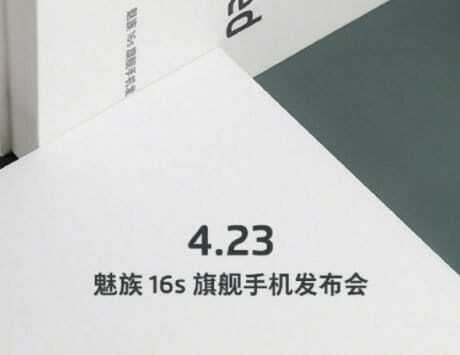 The announcement of the Meizu’s holeless smartphone will happen a day ahead of the official unveiling of the Vivo APEX 2019 smartphone that is speculated to ditch ports and hardware buttons. The translated text Weibo post from Meizu’s post reads, “The world’s first ______, it’s time to show real technology, black technology, see you tomorrow!” The image attached with Weibo post reads “World’s first” followed by a black bar. 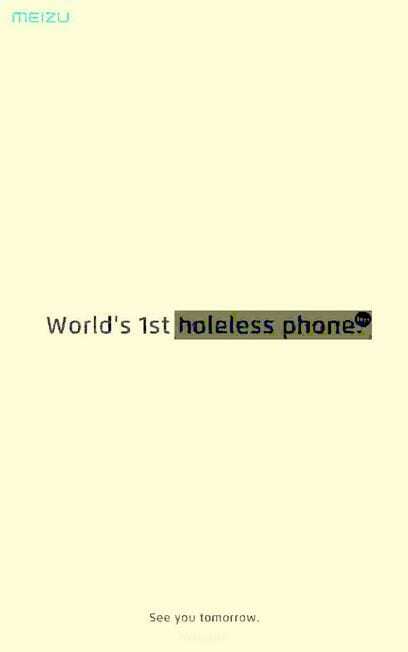 By correcting the colors of the image, one can see the “holeless phone” text hidden in the black bar. The exact name of the smartphone is likely to be made official tomorrow. 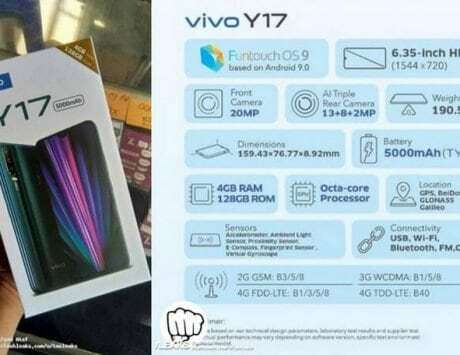 The Vivo APEX 2019 launching on January 24 is supposed to be the first holeless smartphone. By launching the holeless phone tomorrow, Meizu will beat Vivo in announcing a phone with such an innovative design. The holeless Meizu smartphone may come with full screen display surrounded by super-slim bezels, screen soundcast technology, in-display fingerprint scanner, wireless charging and other advanced features. The smartphone’s front camera could be either embedded under the display or it may feature a pop-up selfie camera. Meizu is currently working on four smartphones. The upcoming Meizu 16s, Meizu 16s and gaming-centric Meizu 16T will be powered by Snapdragon 855 chipset. 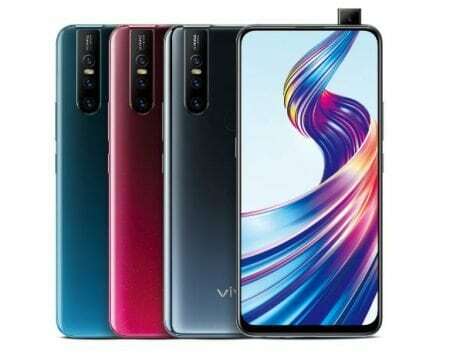 The Chinese manufacturer is expected to announce these three smartphones in May 2019. The company is also expected to debut the Meizu Note 9 phone within the first quarter this year. Recent reports have revealed that the Meizu Note 9 will be arriving with a waterdrop notch screen, a side-mounted fingerprint scanner and the all new Snapdragon 675 chipset. The dual camera setup of the phone is expected to feature 48-megapixel Samsung ISOCELL GM1 as the primary sensor.